Do you wonder where the food we eat comes from? Do you drive by a tractor plowing a field and think "I wish I could do that"? 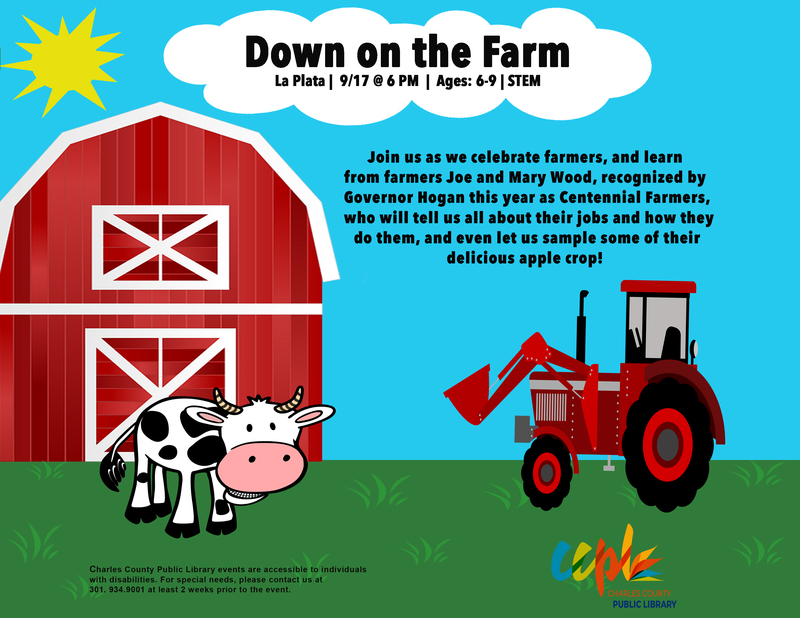 Join us as we celebrate farmers, and learn from farmers Joe and Mary Wood, recognized by Governor Hogan this year as Centennial Farmers, who will tell us all about their jobs and how they do them, and even let us sample some of their delicious apple crop!